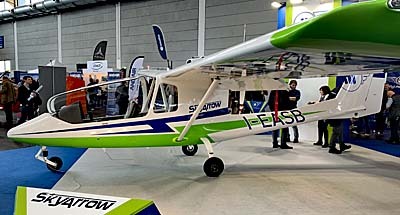 Aero Friedrichshafen is over. At the beginning, show organizers said it was their biggest yet, measured by the number of exhibitors. Aero trails AirVenture Oshkosh in this measurement but only slightly. In other words, it's big …big enough that it's hard to see everything of interest. In the past days, I've covered 16 aircraft that I found interesting and I had to skip many others. I simply did not have the hours needed to visit every exhibitor to hear their story, even if it might be a great one. 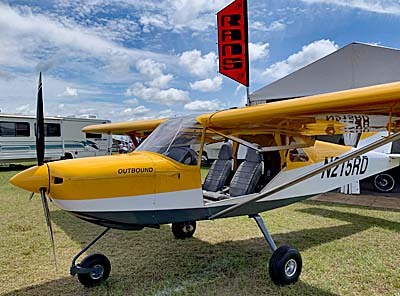 The show is that rich a target environment for a journalist covering Light-Sport Aircraft, Sport Pilot kits, and ultralights. 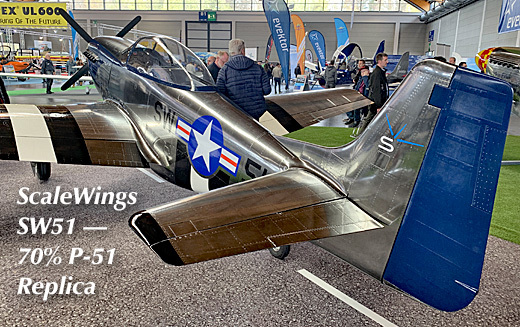 ScaleWings SW51 — When I reported this aircraft in 2018, the "Walter Mitty story" went on to become one of the most popular articles of the year on this website. On social media promotions it also attracted more attention than any other aircraft that year. A year later enthusiasm is still hot. Throngs around the aircraft at Aero reinforced that view. North American's P-51 and its distinctive shape has perhaps inspired more pilots than any other aircraft in history. 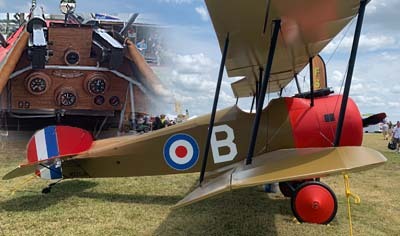 Therefore, ScaleWings' intricately-detailed execution of a 70% scale replica of the iconic airplane draws admiring looks that few others can hope to match. However, can they really manufacture this artistic work? Last year, I admit I wondered if the company would actually pull off the move to production. 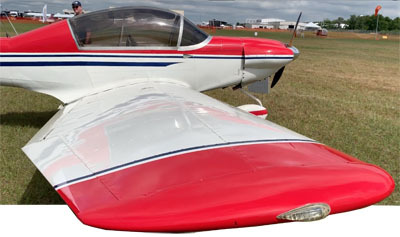 Originally known as the FK-51 because it was to be produced by FK Lightplanes' Poland facility, production ran into trouble. The Poland FK factory had various problems unrelated to this one design. Last year that older relationship was causing doubts about their sustained operation. The two went their separate ways. 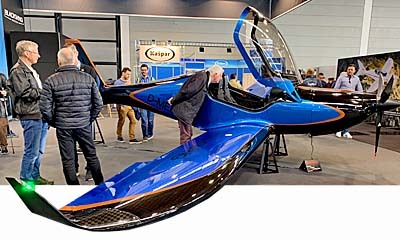 In the last year, ScaleWings has made many changes, upgraded its staff, added test equipment, and brought in a top production man with a background in general aviation, according to front man, Christian von Kessel. Testing has continued using an impressive "strong back," a steel cage-type apparatus built to exert loads on an airframe to prove components and construction methods. The ScaleWings version of this is the most sophisticated I've seen. Work remains but this company is looking solid. Given the keen response to the airplane, if ScaleWings can enter steady production, they might sell all they can make. To learn more, as I imagine many readers may wish to do, look at their brochure (PDF file). 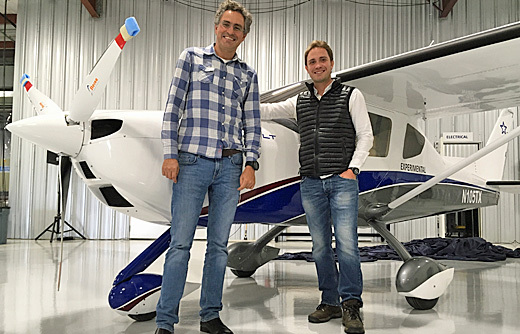 Blackwing 600RG — Sweden's success story in light aviation could be summed up in one company's name: Blackwing. 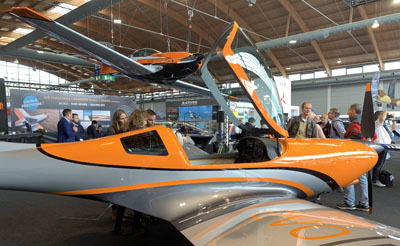 Since it first debuted at Aero 2015 the sleek design from the Scandinavian company has drawn many admiring looks. 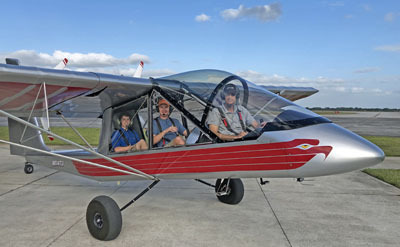 Blackwing exhibits their retractable gear model (600RG) because regulations in most European countries have no speed limit and no ban on retractable gear when operating as European-type ultralights. Therefore many companies in the LSA-like space push speed as a primary selling tool and retractable models are part of this. 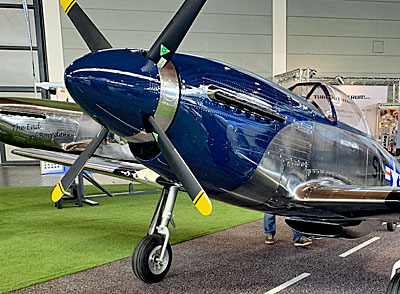 Displaying his aircraft with gear retracted (photo) Blackwing Sweden Founder and CEO Niklas Anderberg presents his slippery aircraft in its best go-fast look. 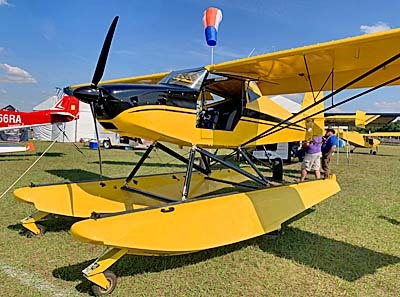 Current FAA regulations forbid retractable gear except on seaplanes as part of the overall goal to keep these aircraft easier to operate. 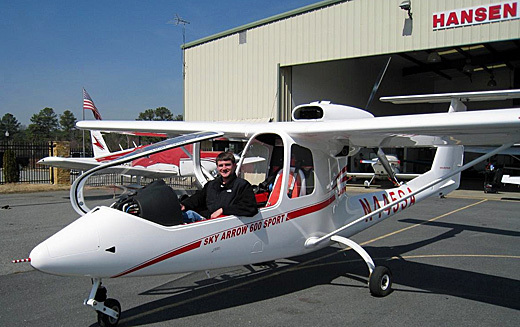 The original mantra was "simple aircraft in simple airspace." 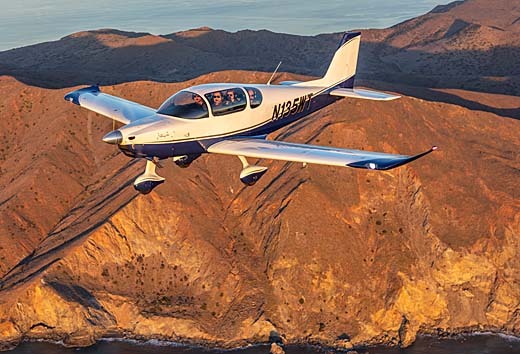 FAA could not know that the new LSA sector would become a worldwide phenomenon that would circle back to help simplify Part 23 (CS-23) certification methods. As reported here several times LAMA has informed industry that significant changes are coming. Beside key regulation changes proposed by LAMA, champions like EAA have fought to expand the professional build-assist center concept. 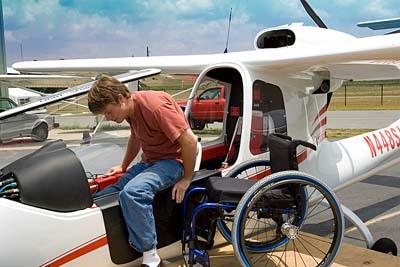 FAA has adjusted its oversight of this effort to support the idea and more accommodating rules are coming. 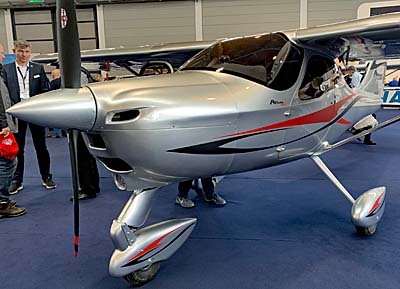 Updated regulations can help companies like Blackwing sell aircraft that exceed the LSA speed limit until we see if FAA will expand the Light-Sport Aircraft category to permit higher speeds. Until then, as interest may express itself, Blackwing also offers a fixed gear version that could enter the U.S. market sooner. 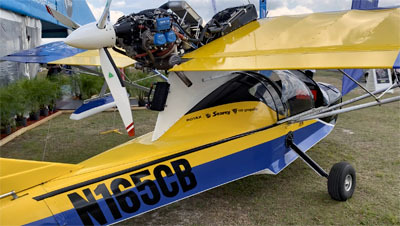 JMB Aircraft Update — "JMB Aircraft is run by two Belgium brothers," stated the company. 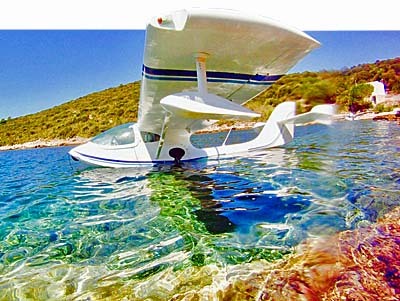 "JMB Aircraft is the production company of the VL3, a plane designed by Vanessa Air and produced in the past by Aveko." Americans may already know this airplane although not from JMB and not called VL3. 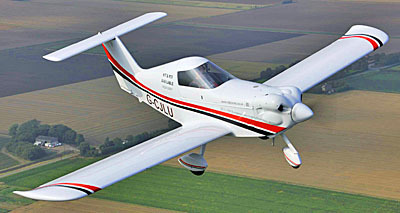 This is the Gobosh model once rebadged and sold in the USA with fixed gear and winglets. Back in 2007, Jean Marie and his brother represented Aveko models and became responsible for 85% of the producer's sales (outside the U.S). In 2012 they acquired Aveko and by 2015 had taken over production. In recent years, JMB has done well. At their company party at Aero on Friday, Jean Marie gave a short talk where he provided some company data. "We bought the company seven years ago and we now employ 100 people in the Czech Republic. With dealers and other staff, JMB now is served by 150 people. 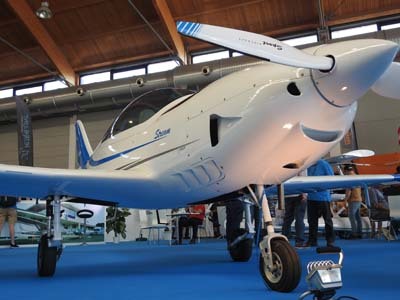 Together they have built, sold, and delivered 320 VL3 aircraft, primarily in Europe with a few in other countries (two are in the USA registered under the Aveko brand). In 2018, JMB built 50 aircraft and Jean Marie said they were planning on 5.5 per month for 2019, or 66 aircraft. By any reasonable measure this is a good performance. JMB does offer a fixed gear model but their website specifies, "Only for flight schools." As with Blackwing, since this Belgium-based company sells primarily in Europe where fast retractable are allowed, why would company leaders like Jean Marie want to show a slower model? 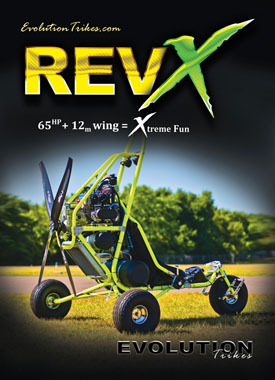 JMB said VL3 Evolution can hit 160 knots with the Rotax 914 engine. They are seeking the right partner for America. 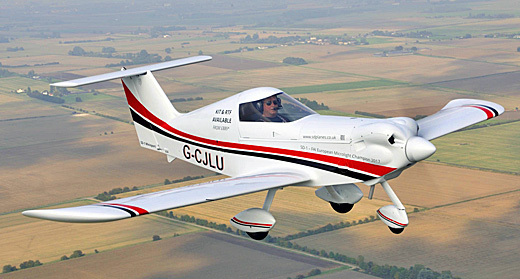 Find our more about JMB Aircraft here. 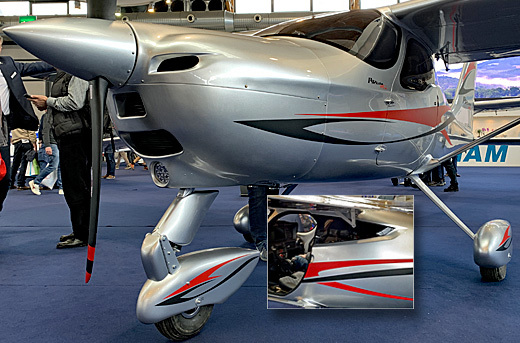 Fly Synthesis Synchro & Catalina — Fly Synthesis catches my eye every year at Aero. Causing that response is always their sharply raked Synchro that makes an art of looking fast while sitting still. Joining the speedy-looking aircraft was an entry fresh to my eyes. 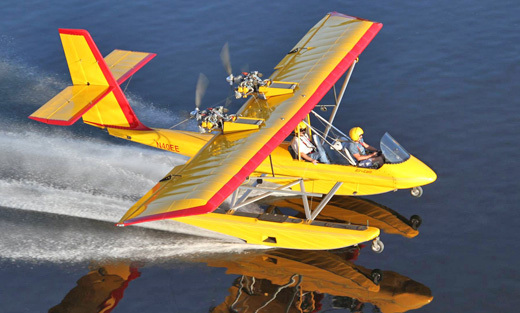 The Catalina NG presents a different view of amphibious LSA-style seaplanes. 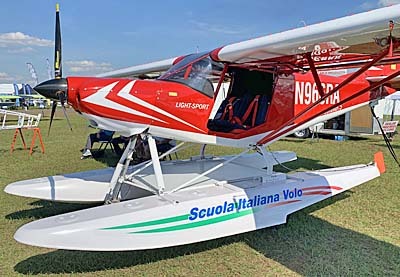 Despite having a flock of airplanes the brand is unknown in the USA, which reveals another way to show the size of the LSA-like market around the world. 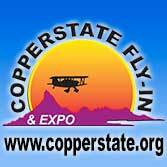 Fly Synthesis reports delivering more than 2,000 aircraft, none of which are in the USA. 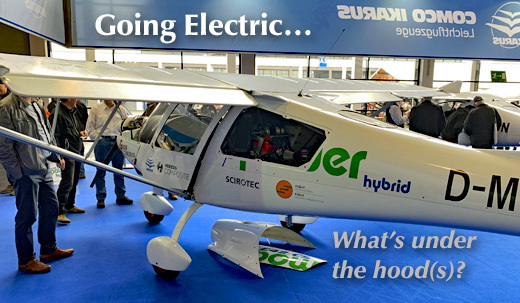 The company stated, "The vast experience accumulated on composite materials in years of activity [in aviation] has allowed us to explore other fields, such as renewable energy (wind power), automotive, and nautical." 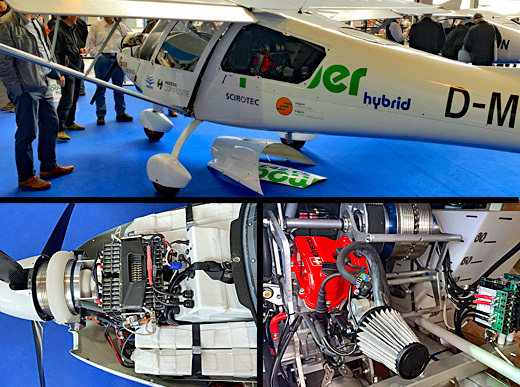 They also do "research and development, design and prototyping in collaboration with other companies in fields not strictly related to aviation." Despite their diversification, the Italian company offers quite a full line of aircraft beside the Synchro that always catches my eye. Indeed, Fly Synthesis offers: a high wing, Synchro; low wing, Texan; European ultralight-style, Storch; an open cockpit Rotax 582-powered ultralight, Wallaby; and a rather unique approach to seaplanes, Catalina. All these are in production now. 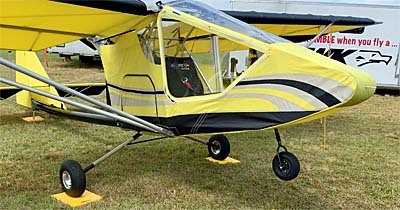 Discontinued is the single seat ultralight, Kangaroo. 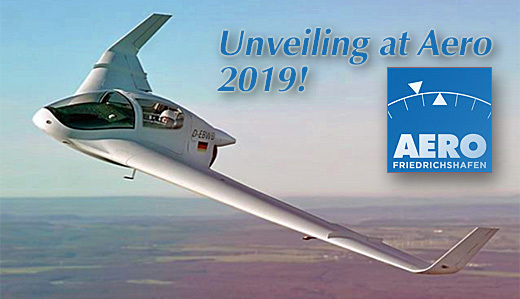 Aero Friedrichshafen 2019 is finished. Coverage appears below. More articles plus some short videos will follow on the ByDanJohnson YouTube channel. 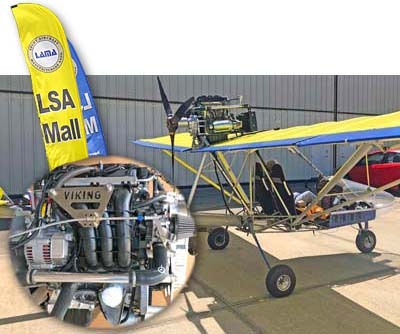 Find a large and ever-growing library of LSA and Sport Pilot kit videos featuring Dan on Videoman Dave's popular YouTube channel + view hundreds of our best videos archived here in a searchable format. Thanks for your visit. We genuinely appreciate those of you who have become members! You wanna go fast? Of course you do. What pilot doesn't want to go fast? 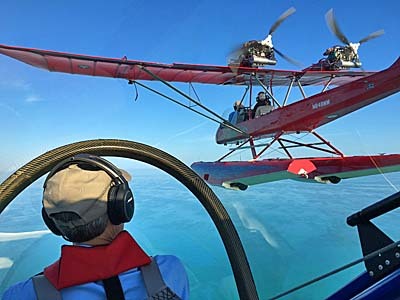 Now, ultralight pilots (me, for instance) will go on enthusiastically about the beauty of flying slowly, of drifting leisurely over the landscape at a "human speed" that allows enough time to enjoy the expanse of an aerial view of your surroundings. Open cockpit flying adds to the joy facilitated by low airspeeds. Yet the allure of going fast is great, zipping over the countryside. I get that and when contemplating a cross country trip of any real distance, fast cannot be too fast. In addition to a higher TAS, we all yearn for a tailwind that will raise our speed by another 20 mph. 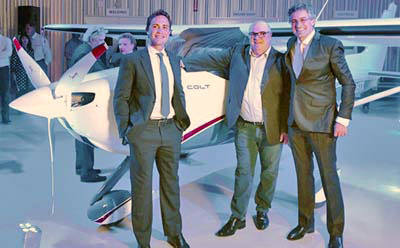 Arion Aircraft boss Nick Otterback also feels that desire to fly fast. 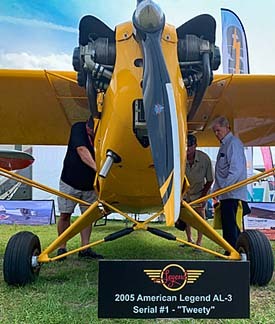 Along with his since-retired but longtime business partner Pete Krotje, Nick created the dashing, sleek and smooth Lightning, first offered as a kit and a compliant Light-Sport Aircraft. Lightning has enjoyed and continues to execute a good run but like many designers, Nick felt the design could handle more speed. 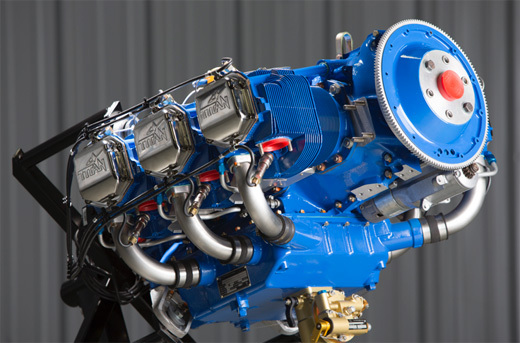 He set out to bump the numbers by installing a Titan X340 with 180 horsepower. This triggered other changes such as a new cowl to accommodate the powerplant. 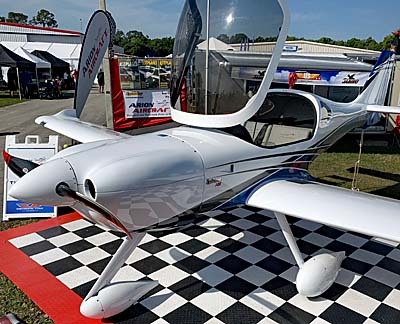 "Our Lightning XS kit has a redesigned forward fuselage structure that gives the builder the option to choose engines up to 180 horsepower," said Nick. 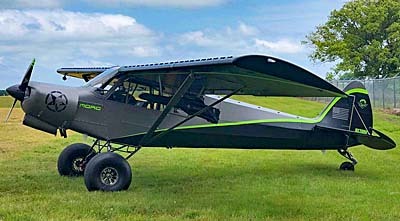 "Taller landing gear for bigger props, bigger brakes, and 20 gallon fuel tanks are among some of the features of this new kit." How fast does Lightning XS go? Testing is not complete yet; it recently took to the air. However, Arion is calculating 165 knots (190 mph) TAS at 8,500 feet density altitude at full gross. Climb is a stunning 2,000 fpm. 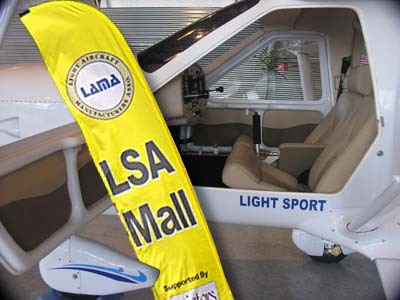 Of course Lightning XS is not a Light-Sport Aircraft and will require a Private or better certificate plus a medical. 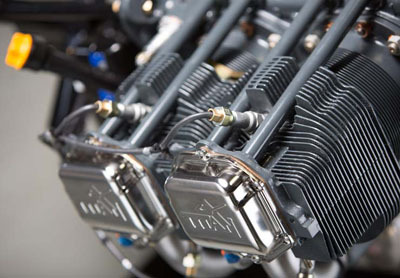 Rotax, Searey builder Progressive Aerodyne, and RS Technology continue work to acquire knowledge and data about what's called Single Lever Control (SLC). They've been at it a couple years or more and RS Tech is pleased with initial results. 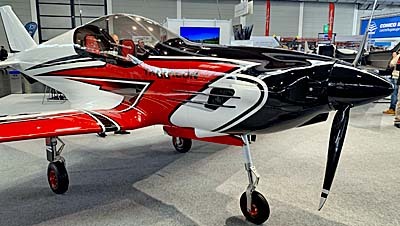 Since I first interviewed Michael Stock about this on video, the team has changed to Rotax's newest 915iS engine that supplies 135 horsepower. 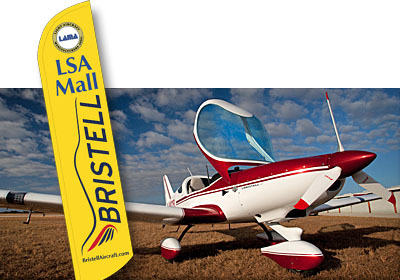 Combined with the adjustable prop, this becomes an enthusiastic performer. The beauty of the system, in my mind, is that it is so simple. 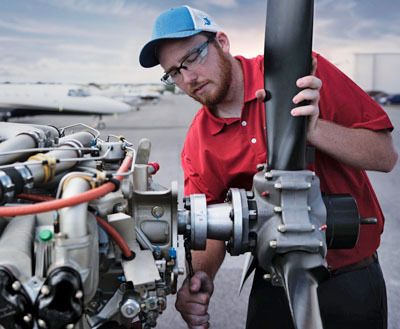 A literal single lever makes the pilot workload no more difficult than a conventional throttle on a fixed pitch prop yet it can deliver increased performance to shorten takeoff runs without sacrificing cruise at altitude. 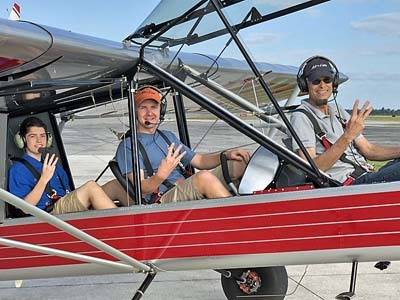 This is a win-win safety argument that FAA recognizes. In our discussions with top executives with the agency they proved surprisingly and pleasantly receptive to considering SLC as they rework the SP/LSA regulation. That's not a guarantee but the odds seem promising. Nonetheless, that regulation is still years away — how many years is an unanswerable question at this point but the wheels of progress are in motion (see an earlier article on this subject). In talking about regulation change, lots of folks are still asking about a speculated weight increase. Yes, one is definitely coming but not to a specific number. A formula will develop gross weight, and no, the final version of that formula is not yet established. Let me admit right up front: I am a big fan of AirCam. 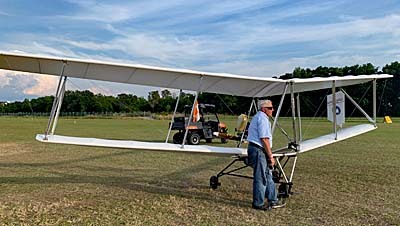 I have flown several different examples. 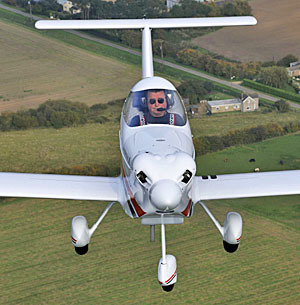 I have done a flight report in one with boss Phil Lockwood. I even earned my Multi-Engine Rating in one. 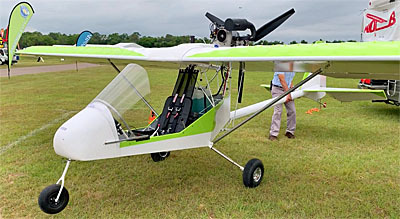 For a longtime open-cockpit ultralight pilot like me, AirCam may be the ultimate expression of a fun aircraft in which you can do things you shouldn't even consider in most other airplanes. 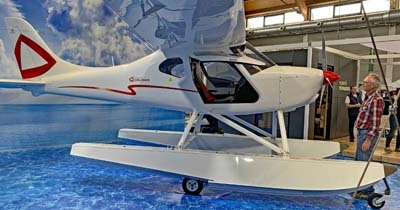 So, when Phil told me about Lockwood Aircraft's new Gen-3 (third generation) AirCam, I was more than a little interested. Here's the skinny. 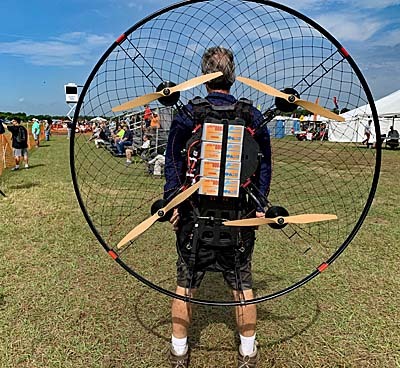 “Beginning with the opening day of Sun 'n Fun 2019 we will be debuting major upgrades to the AirCam airframe and powerplant packages,” Phil noted. 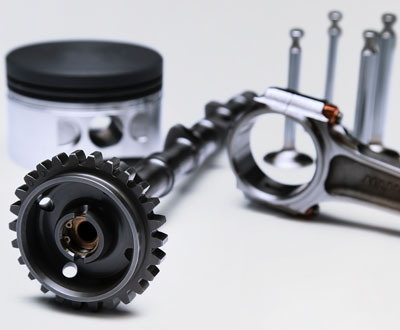 All AirCam kits incorporating the new changes will be designated as “Gen-3” models. 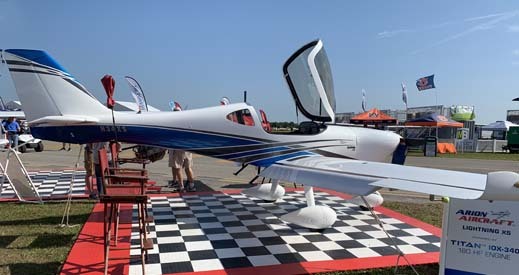 New Gen-3 model airframes will have the option of incorporating a third seat located behind the second seat and a 220-pound gross weight increase from the current 1,680-pound max gross weight to 1,900 pounds. “The new jump seat will be quickly removable to convert between cargo and and third passenger,” added Phil. 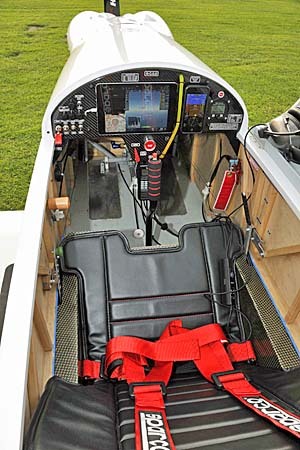 The third seat can be installed in either an open-cockpit AirCam or one with the full enclosure canopy. 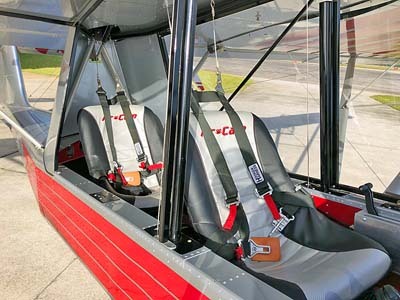 The canopy — developed some years after AirCam first emerged — was designed from the start to accommodate the third seat. 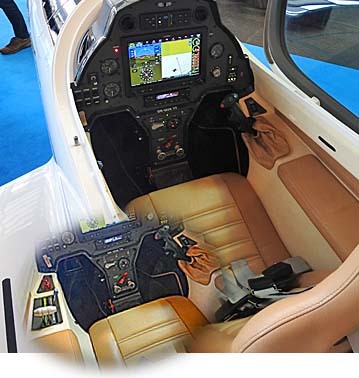 “Numerous improvements have been incorporated in the new Gen-3 model airframes to accommodate the optional gross weight increase and jump seat,” said Lockwood. “The landing gear has been strengthened to accommodate greater landing and take off weights. 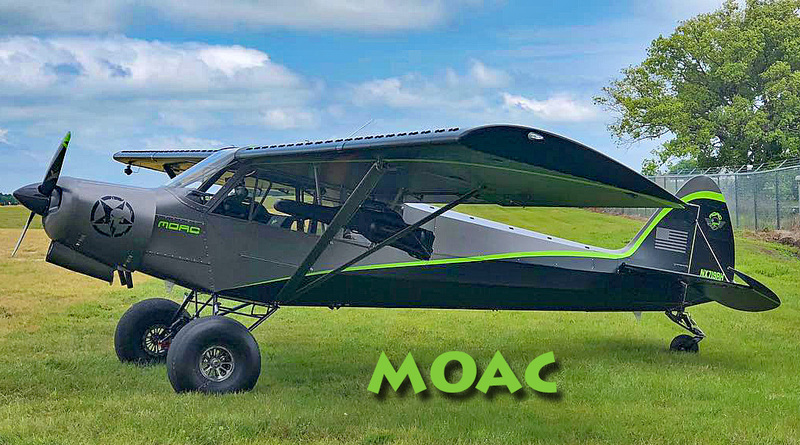 Landing gear modifications include new stronger gear legs, a beefed-up fuselage gearbox and upgraded Beringer wheels and brakes.” Phil Lockwood also reported AirCam’s aft section of the fuselage and tail spring have also been strengthened to accommodate the higher loads. 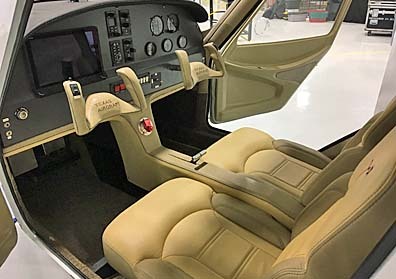 The new fuselage incorporates a new set of foot wells to improve comfort and safety when utilizing the jump seat. These new foot wells also increase the volume of the cargo bay when not using the third seat. 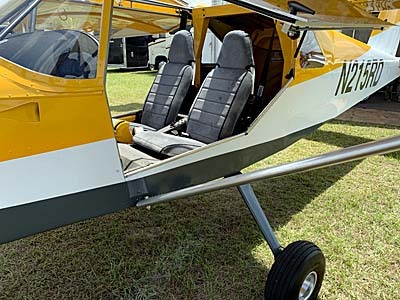 “You’ll also find harness attachment hard points that are built into the new fuselage for the third seat passenger,” Lockwood said. 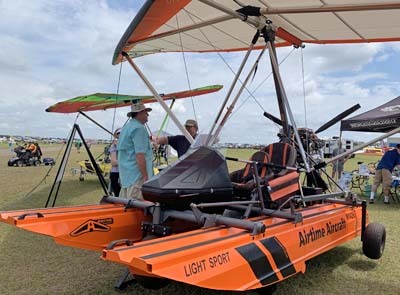 The Sebring, Florida company noted that some float-equipped AirCams have already been operating at higher gross weights, up to 2,000 pounds, based on the capacity of the amphibious landing gear and increased lift provided by the floats at high angles of attack. 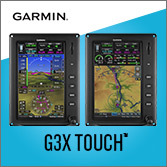 The Gen-3 model airframe benefits are designed to allow for increased gross weights for land planes only. 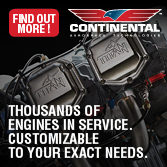 A few years ago, I visited Continental Motors in Mobile Alabama on the Gulf coast of the southern U.S. state. Here's what I wrote about that tour. The factory was a World War II-vintage facility. I saw many new CNC machines and they were humming with activity. I also saw acres of the earlier generation of engine-manufacturing equipment. Nearly all of this hardware was idle even as it occupied large amounts of space. Times have changed. Continental changed, too, but the old tooling still rested in position Now, that is changing. Last year the company announced their new "green field" construction project, one of the largest in the state. It was clear that …well, let's hear how the company describes it. "This Is a New Dawn"
"We’re proud to introduce you to the new name and brand identity of a company that has been a major leader in the world of aviation for over 110 years." said Continental. 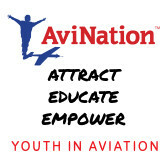 "With this new dawn comes a new name and brand identity for a major leader in the world of aviation. 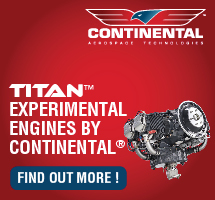 Introducing Continental Aerospace Technologies," stated their press release. However, they're busy doing much more than rebadging the company with a new, modern look. Their video below helps tell a fuller story. The new company name and graphic "clarifies Continental Aerospace's industry sector and the refreshed logo amplifies the theme by evoking flight, motion, and looking to the future." 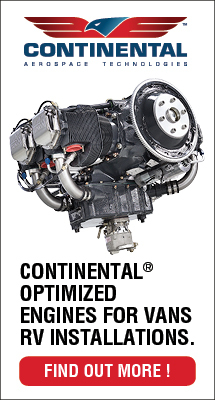 "Join us as we write the next chapter of a story that already spans over a century," continued Continental, "where our reputation for exceptional service and engine solutions is combined with new ambitions, new innovations and new foundations upon which Continental Aerospace Technologies™ can establish a new era in general aviation." Continental has a strong relationship with the city and region around Mobile, as noted in this article. 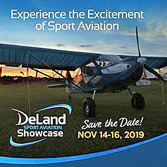 In addition to dozen Light-Sport Aircraft and Sport Pilot kits all parked wingtip-to-wingtip, LAMA will also again host a display of engines used on Light-Sport Aircraft and Sport Pilot kits. 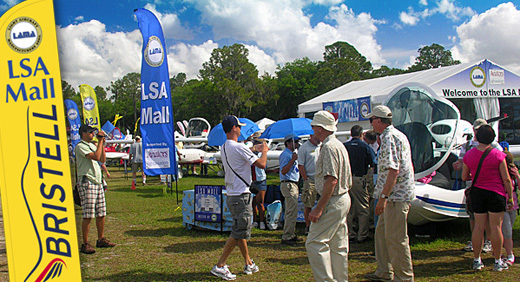 Pilots have a understandable fascination with engines and the display in the LAMA tent at the LSA Mall in Paradise City is the one-and-only place where you can see them all in close proximity to one another. If you visit the core area of Sun 'n Fun, you know it is a fair walk to Paradise City. Yet it is a great draw as many see that Sun 'n Fun's "alternate airport" in Paradise City represents something of an airshow-within-an airshow. 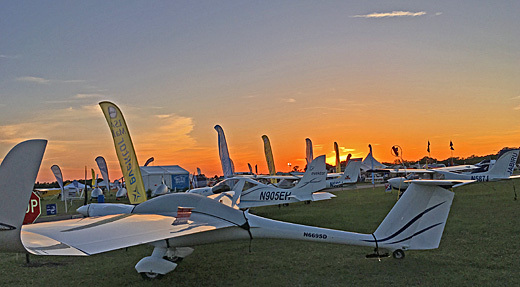 As with AirVenture, Sun 'n Fun is a sprawling affair and it takes a while to hoof it from one location to another. Thanks to Rotax Aircraft Engines, LAMA is again pleased to offer a free ride on one of two 6-seater golf carts. 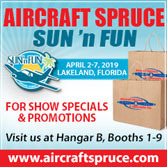 Operated by volunteers from Paradise City, you can catch a ride from the foot court area of Sun 'n Fun's main area to the Rotax exhibit at the main entry gate for the show and from that point to the LSA Mall. 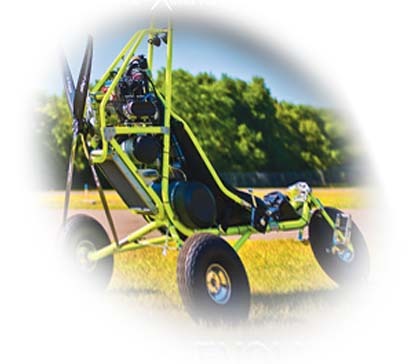 These golf cart shuttles run back and forth all day at no cost to rider. 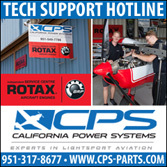 Look for the golf carts with the Rotax logo prominently displayed and stick your thumb out for a ride. 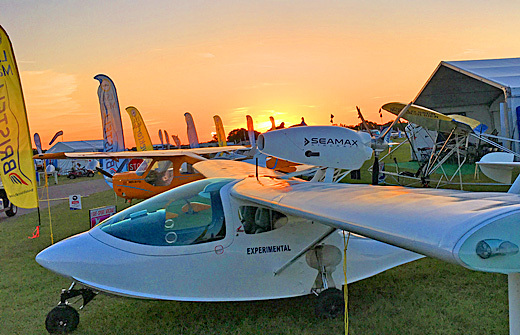 I hope you are coming to Sun 'n Fun 2019. If you cannot, check back here for news as I find it. In late February, Texas Aircraft invited me to an unveiling ceremony. As it's always wonderful to witness the arrival of a new aircraft and sense the excitement and enthusiasm of its developers, I jumped at the opportunity. Now that they've taken off the wraps, I am pleased to offer readers a first close look at the Colt 100. 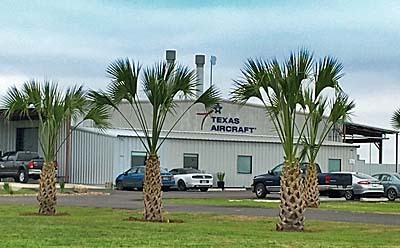 Known as Texas Aircraft Manufacturing, the company hosted an event to inaugurate its new development and production facility at South Texas Regional Airport in Hondo, Texas. 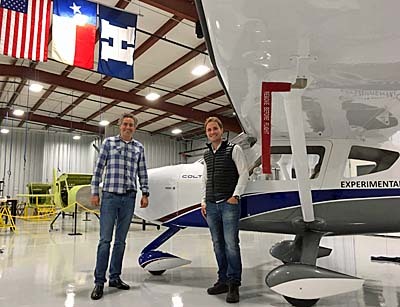 Our hosts were Texas Aircraft Manufacturing CEO Matheus Grande and company partners Caio Jordão, Diego Jordão, Carlos Barros and Samantha Almeida. Something old. Something new. 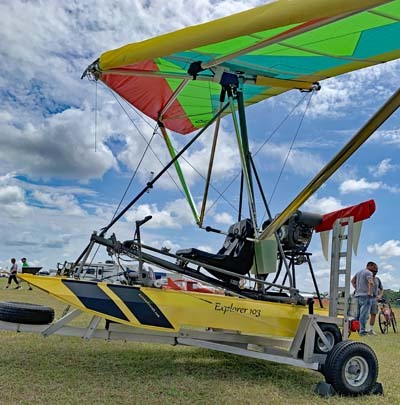 Hang glider pilots I know are very familiar with Horten designs, a form of validation for modern hang gliders …flying wings, aircraft with no tail or fuselage structures. Yet many pilots don't know Horton and have only a sketchy understand of flying wing stability. As the second great war progressed, Germany sought more advantage as fanatical government leaders pursued their ambitions. The war was dragging on and they needed better war equipment. In 1943, Reichsmarschall Göring issued a request for design proposals to produce a bomber that was capable of carrying a 1,000 kilogram (2,200 pound) load over 1,000 kilometers (620 miles) at 1,000 kilometers per hour (620 mph) — the so-called "3×1000 project." Conventional German bombers could reach Allied command centers in Great Britain, but were suffering devastating losses from Allied fighters. At the time, no aircraft could meet these goals. 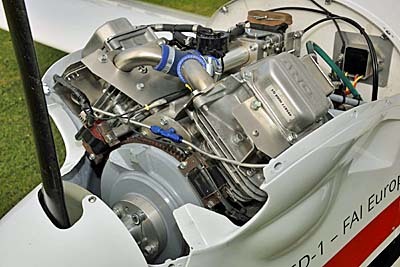 Junkers turbojet engines could provide the required speed but had excessive fuel consumption. 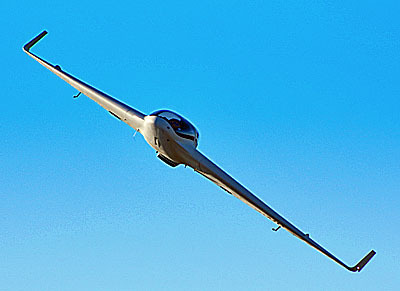 Walter and Reimer Horten concluded that a low-drag flying wing design could meet all of the goals. By reducing drag, cruise power could be lowered to the point where the range requirement could be met. They put forward their private project, the H.IX, as the basis for the bomber. The Government Air Ministry approved the Horten proposal, but ordered the addition of two 30-mm cannons because they felt the aircraft would also be useful as a fighter as its estimated top speed was significantly higher than that of any Allied aircraft. 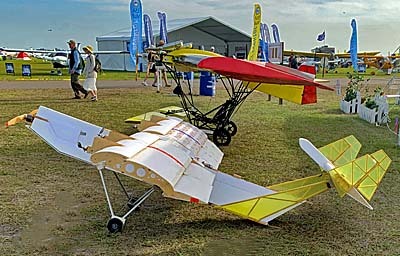 In short, flying wings are lean and make efficient use of the weight of their structure. 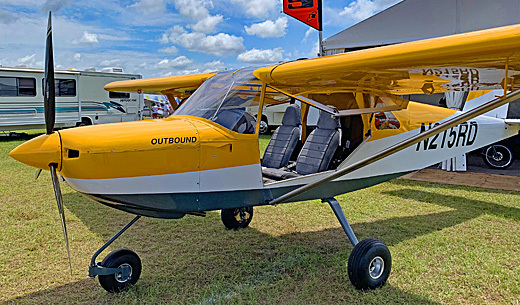 That sounds like worthy qualifications for a Light-Sport Aircraft or Sport Pilot kit. 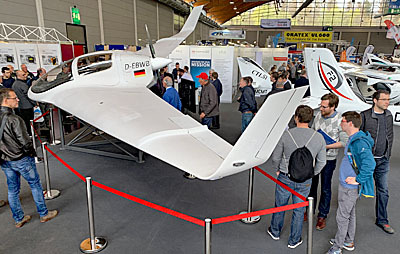 After three years of development, German aircraft manufacturer Horten Aircraft will unveil its prototype flying wing that is already undergoing flight testing as the nearby photos attest. 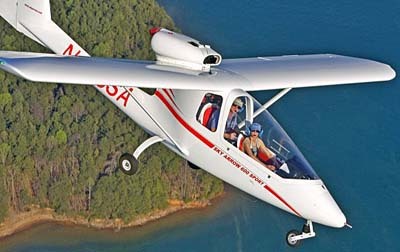 "This aircraft is a highly modern economical two-seat tailless light aircraft without a fuselage," said the company. 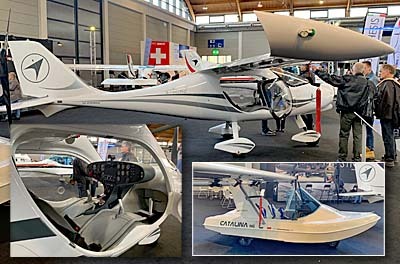 "Due to its low aerodynamic resistance, the flying wing flies farther and faster than a comparable aircraft with a fuselage," said Bernhard Mattlener, Managing Director of the company that belongs to the Lift Air group. 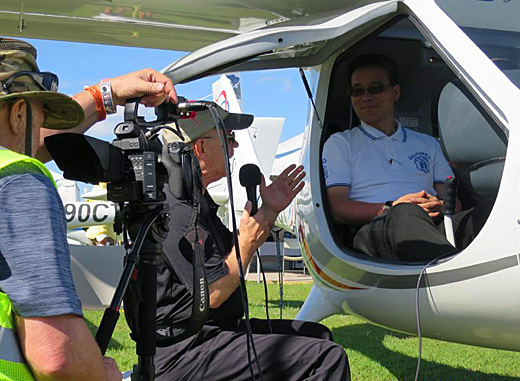 Lift is also the owner of Flight Design and their CT series plus the Rotorvox luxury gyroplane. 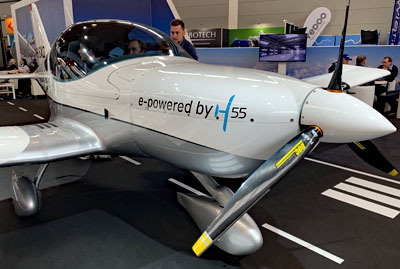 "The design of the airframe makes it easily adaptable for installing new propulsion technologies we anticipate will become available in the future,” added Mattlener. 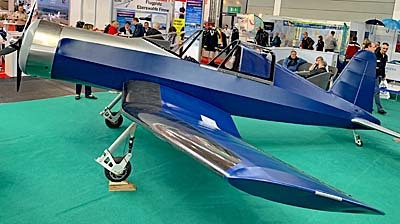 Horten Aircraft plans further developments, such as multi-seat and unmanned versions of its current prototype. 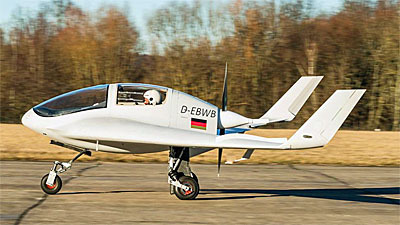 The aircraft will be built at the company's headquarters at Kindel Airfield near Eisenach, Germany where Lift is headquartered. At the beginning of the 20th century — in 1910, a mere seven years after the Wrights flew their Kitty Hawk Flyer off the North Carolina sand dunes — Hugo Junkers received a patent for his work on flying wings. 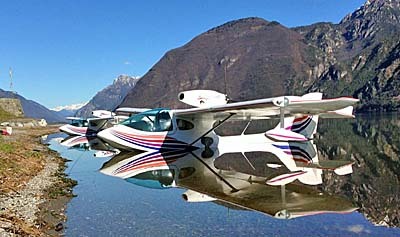 The modern company name honors the visionary aircraft designer, Dr. Ing. Reimar Horten (1915-1994). 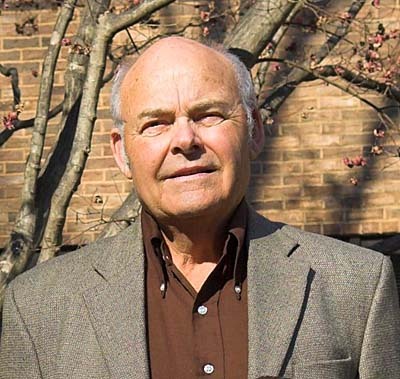 "He is regarded as a pioneer in the field of flying wings and made the most significant contributions to the development of the forerunner prototypes," said Mattlener. 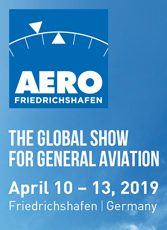 At this time, the company is not disclosing any pertinent data about the aircraft but I will be at Aero Friedrichshafen 2019 and will report further from the event. 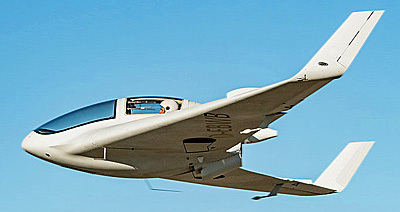 While this is not a Flight Design LSA project, the Horten will become part of the Lift family of recreational aircraft. 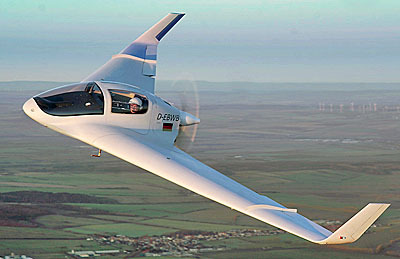 I also expect to report on other aircraft developments from the German producer. "You just saved my life!" It's not often anyone, even a medical doctor, hears those words. 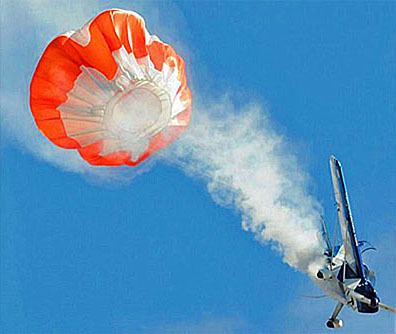 Back in the '90s I was sometimes on the receiving end of a call when a pilot phoned BRS to report a "save," a sparing of a life by the use of a parachute. It is a humbling experience to have someone exclaim that you (and your fellow workers) are the reason they are alive. A few days ago, it happened again, for the 400th time. 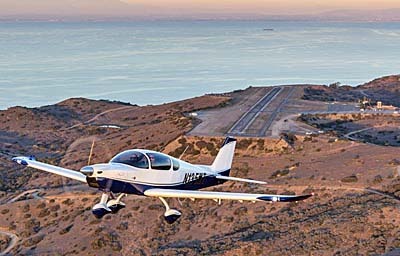 BRS Aerospace documented the 400th and 401st lives saved, a worthy milestone in aviation safety. "This milestone and all of the lives saved are a testament to Boris Popov, who conceived the idea and whose vision for the company he founded overcame initial resistance to the very idea of aircraft parachutes from some naysayers," said BRS President and Director, Enrique Dillon. 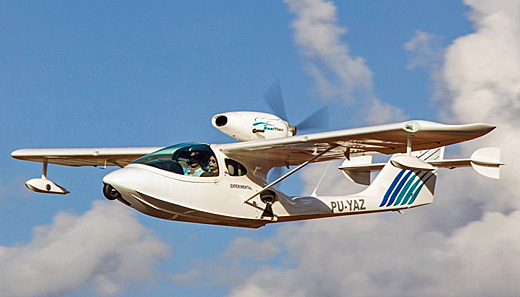 "The concept's legacy are the pilots and passengers who survived to continue to live fruitful lives and the thousands of families who have enjoyed added peace of mind when their loved ones fly." 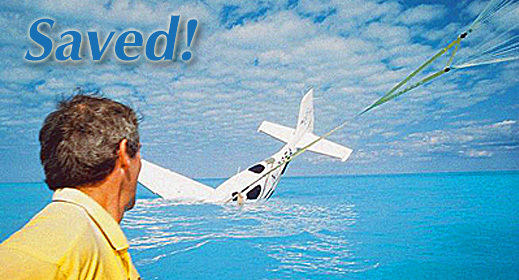 The system is designed to be a last resort for pilots and passengers when all other attempts to recover the airplane in case of emergency or pilot incapacitation have failed. 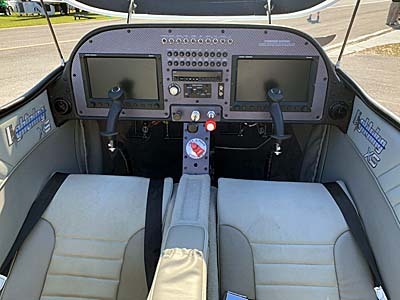 Numbers 400 and 401 entered the BRS save logbook when the pilot of a Cirrus aircraft with an engine out deployed the whole aircraft rescue system over water more than 20 miles from Grand Turk Island in the Turks and Caicos. 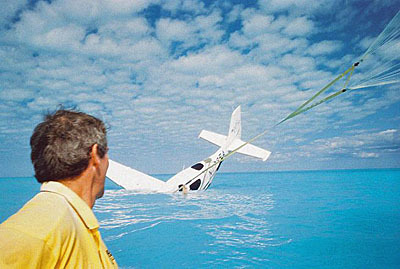 BRS reported that pilot and passenger were uninjured and that they were picked up by a cruise ship.